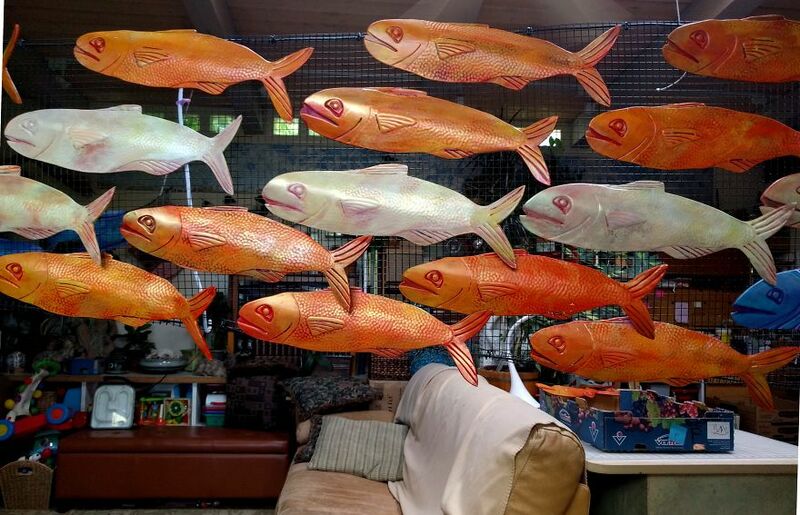 I Helped People With Blindness And Multiple Disabilities Create A 14 Foot Tall Fishnado! 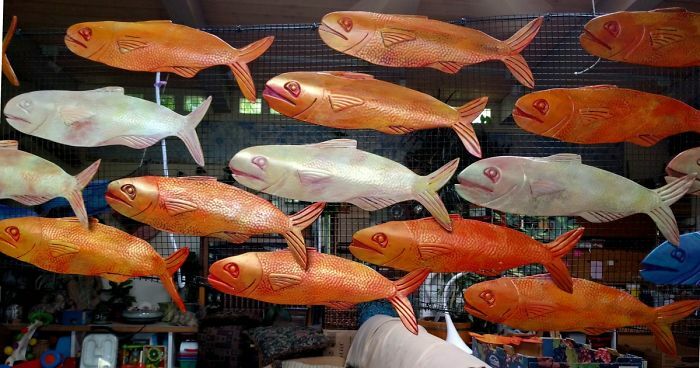 For months, I conducted art workshops making and painting fish at the Therapeutic Living Centers for the Blind. 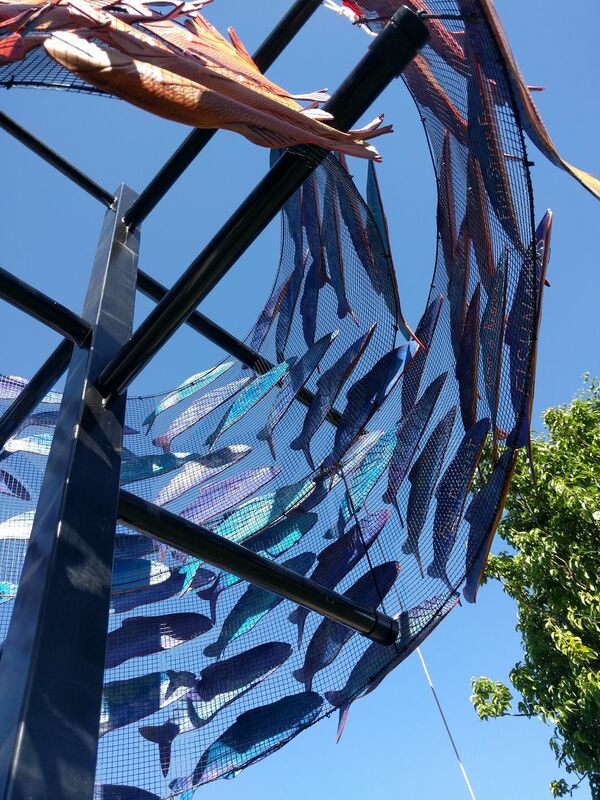 The art garden displays include a mural, a fishing net, and the towering FISHNADO. Installing FISHNADO was like raising a circus tent. 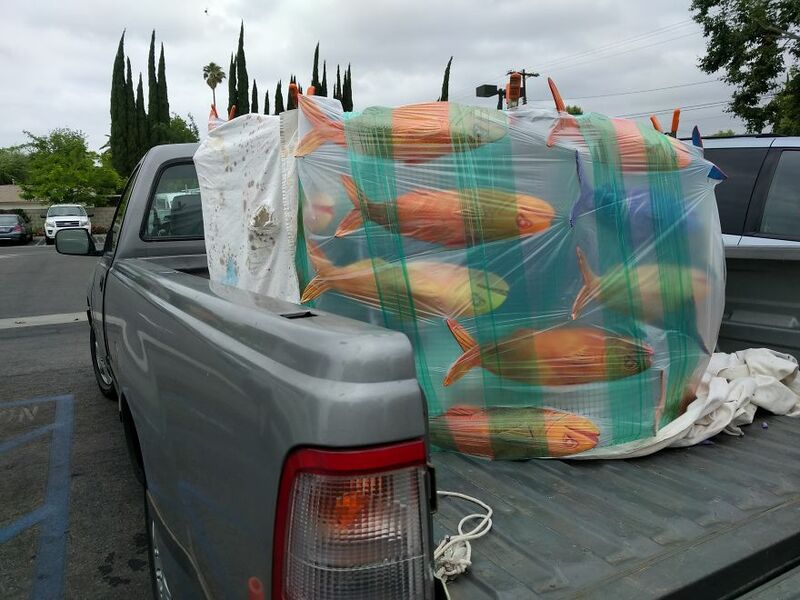 FISHNADO goes for a truck ride. OCTOPUS in Paris is the Backdrop for the FISHNADO garden. 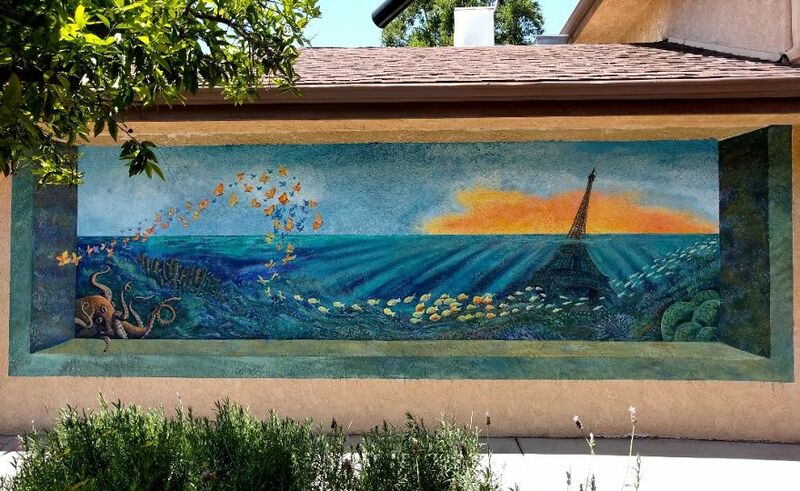 It was painted with the help of people challenged by visual impairments. we made FISHING NET from recycled soda cans. 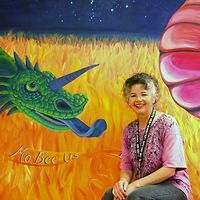 Elizabeth Criss is a painter and muralist living in Los Angeles.